Enviado e vendido por Imperio Shop..
Excelente produto e, como sempre na Amazon, entregue antes do prazo. Bom produto, bom preço e entrega rápidíssima ! Definitely not the fastest SSD on the market, but for what it is, it's fantastic. 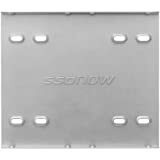 It's very inexpensive and provides performance SIGNIFICANTLY better than a mechanical hard drive. Kingston knows they're not top of the line, and they price their products accordingly; I respect them for that. I don't buy the highest end top of the line components because I don't buy parts so I can benchmark them and get excited about how fast they are. Real world performance is all I care about, and I'm not going to notice the difference of a few seconds between different SSDs. The difference between HDD and SDD though, phew! HUGE! I just want Windows to boot up fast (about 8 seconds after I hit the power button I'm in Windows), games to load quickly (Battlefield 1 maps load in about 10 seconds) and this drive is perfect for that. Also, my motherboard has SATA 2 and not 3, so there was no reason for me to get the fastest drive available. KEEP IN MIND FOR THE SCREENSHOT THAT I POSTED, THIS IS WITH A SATA 2 CONNECTION, NOT SATA 3. 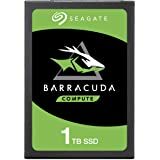 SATA 3 is (theoretically) twice as fast, so there would be a significant increase in performance with a SATA 3 board over this. Still extremely pleased with these results on a sata 2 connection with a $45 drive. Would buy again, and probably will. 172 pessoas acharam isso útil. This is not the fastest SSD out there by any means. But it is cheap, and it is still an order of magnitude faster than a HDD. While you'll definitely see the difference between this and the top tier SSDs in benchmarks, in day to day usage you'll honestly be hard pressed to notice the difference. 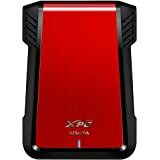 The 240GB version is a perfect size to run your OS (plenty of room for all of the large temporary files Windows creates) and throw a few games on, pair with HDD for file storage. 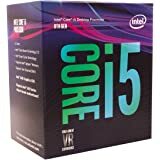 This is probably the single cheapest, most effective and impactful upgrade you can make to your computer. If you've got the money for a newer Samsung EVO drive with a larger capacity then go for it, but if not this will do the trick in a pinch. Well worth the money. 83 pessoas acharam isso útil. Physical installation was a breeze. Open the case, plug it in, and the computer saw it. I bought this to install my Linux operating system. After multiple attempts I was finally able to install the system. I have installed Linux on multiple drives, on multiple computers, and this is the first time I had to fight with the installation. As it turns out, this drive is not natively configured to be a boot drive, which is why I had such a time with the installation, and which is why I do not have a menu on bootup asking which operating system to boot (I have a 250 GB SSD running Windows 10). The only purpose for purchasing an SSD of this size is to install only an operating system, and since it wasn't configured as a boot drive then it ultimately fails at its ONE job. Yes, I have it working; that said, on a functional bootable drive I automatically get a menu asking which OS to boot. On this one, I have to enter UEFI and go to the boot menu and select the drive to boot from. It's an incredible disappointment after my experience with the 250 GB SSD I purchased. 53 pessoas acharam isso útil. 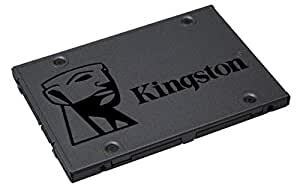 1,0 de 5 estrelasKingston A400 SSD 480GB Stay away! As a 30-year+ computer guy, this is the only SSD drive I have ever purchased which worked perfectly when installed but failed totally with 2 weeks. I seriously recommend you spend a few more dollars and purchase a more dependable drive. 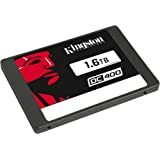 While Kingston replaced the drive, (unit was outside the Amazon 30-day limit but was in my inventory a couple of months before I used it) I had to pay return shipping charges plus I now have another which I do not trust to use with a customer. Why did I buy it? Low sale price. Good price and performance at a pretty unbeatable price. Kingston has been in the game of flash memory for as long as any other manufacturer out there and their reliability is as good if not better than Samsung and any other brand on the market. 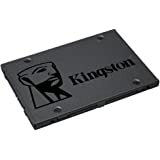 SSD is in the same category of memory storage as a flash drive so I trust Kingston's reliability will be the same here as well. 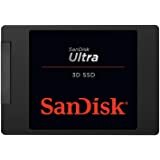 Other big name brands (Samsung for instance) have only recently started making flash memory devices, so I would rather stick with a company that focuses mainly on flash memory, and has since it was invented. 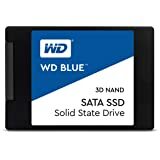 This SSD is being used in a Lenovo T60 laptop, so it will get the most abuse you can put an SSD through (being in a laptop of course) and I will update this review if something changes.